Commander! The Metallikats are tearing up downtown! The Enforcer Sergeant was an able-bodied and loyal Enforcer officer, never identified by name. He is usually seen at Commander Feral’s side. The Sergeant is completely loyal to Feral and always follows his orders without question. A kat of few words, the stern Sergeant normally says nothing more than, “Yes sir!” in response to Feral’s commands. 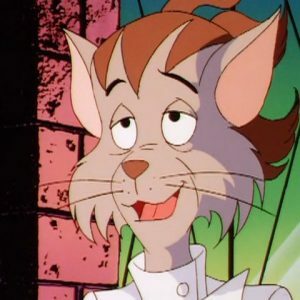 For season one, he was voiced by Ed Gilbert. 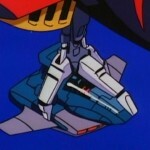 Beginning with When Strikes Mutilor in season two, he was voiced by Jim Cummings, confusingly using the same voice he’d used for the second Sergeant (see below). 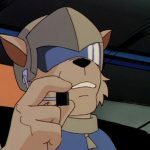 Like many characters, he was slated to appear in the unfinished episode Succubus!, where he would’ve assisted Felina in her investigations and found the dead body of dockworker Geno Furness in the river. 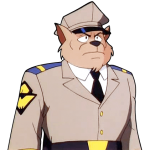 There is a second Enforcer Sergeant who only appears in Enter the Madkat and Katastrophe. For many years, it was thought that this was the same character, just redesigned for inexplicably only two episodes. However, storyboards for Enter the Madkat confirm it’s a different character. In Metal Urgency, Feral at one point addresses an Enforcer commando as “Sergeant.” According to the script and storyboards, it was supposed to be the Sergeant and another officer inside the tank. 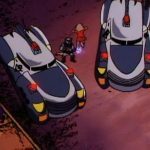 Since only Feral escapes before the out-of-control Behemoth runs the tank over, the Sergeant was killed in this scene in the script. However, bizarrely, he still appears later on in Feral’s office. To fix the continuity error, the Sergeant and officer in the tank were changed to two generic commandos, although Gary Owen’s dialogue referring to the Sergeant was never altered, making it a blooper. Another instance of the Sergeant being replaced during animation is in The Pastmaster Always Rings Twice; in the final draft, he is commanding the blockade by the tar pits before Feral arrives. 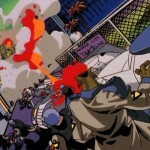 In the finished episode, however, the Sergeant is replaced by a commando. 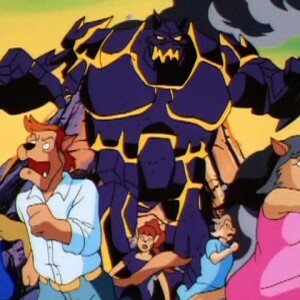 And in the final draft of The Origin of Dr. Viper, he and a commando were supposed to accompany Feral to Megakat Biochemical Labs, but in the finished episode, he was replaced by a second commando. Several episodes recycle his (pre-Madkat) character design to create generic Enforcer officers, Night of the Dark Kat in particular. 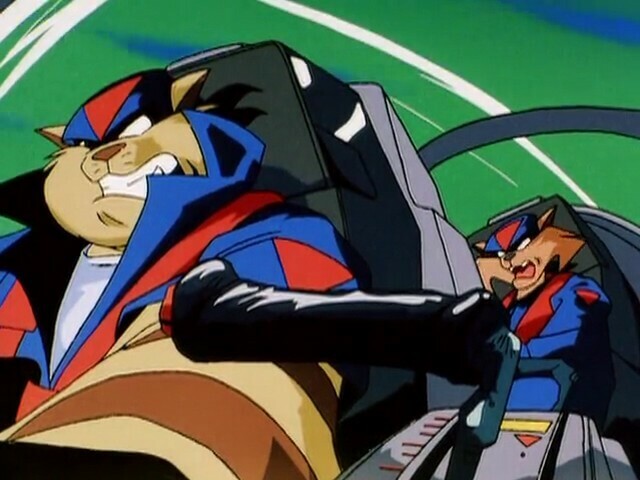 In 8 Episodes ▼ More The Pastmaster Always Rings Twice Destructive Nature Metal Urgency When Strikes Mutilor Razor's Edge The Origin of Dr. Viper The Dark Side of the SWAT Kats Succubus! Must Read: "Foundation of Trust"
This was my father's car." Callie growled through her teeth. "It's got heart. It's made of good, old-fashioned Megakat steel, and I am not replacing it." "There's a company we work with out of Fursdale which specializes in vintage cars, and they might have parts for this…but they don't come cheap." Larry shrugged. "Sorry, Missus Briggs, but as good as this car used to be, now it's more of a clunker. You'd be better off trading it in...no, scratch that. At this point, it's only good for scrap." Callie fought down the twitch above her eyelid. Taking in a breath to calm herself, she reached one paw up and removed her glasses, then made a deliberate show of cleaning them. "Well, for as honest as you're being with me, I think I'll need to seek out a second opinion." She set her glasses back on and stared hard at the older, overweight tom. "Sure. That's your prerogative." Larry shrugged. "I'm just saying, as it is, you'll be lucky to get another 150 miles out of it. You go anywhere else in town, they'll either laugh you out of the shop or promise you the moon and then rip you off. I'd think seriously about my offer." Callie chuffed at that. "My father was an auto mechanic for his entire life. He'd roll over in his grave if I accepted your offer." Larry cracked a smile. "Well. Guess you're out of luck, then. Will you be wanting to drive it out of here then?" "Take my advice, drive it right to the salvage yard outside of town." Larry chuckled. "Hell. You might even be able to convince those two bums out there to take a crack at it." 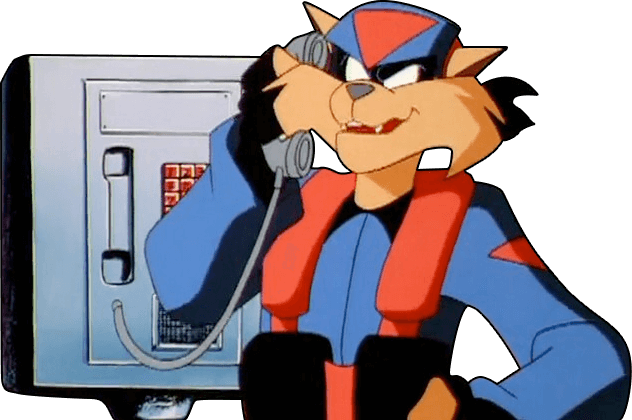 In 1993, Hanna-Barbera released SWAT Kats: The Radical Squadron, an animated action show taking place in the world of Megakat City. It was based on characters created by Christian and Yvon Tremblay. Despite early cancellation in its second season, the series remains popular with an active fanbase. In the United States it can occasionally be found in syndication on the Boomerang Cable Network. Dr. N. Zyme is a slightly absentminded biochemist who works at Megakat Biochemical Labs. 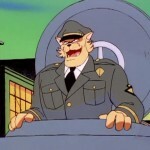 Mayor Manx and Mr. Young plan to build an industrial park on Anakata Island, the SWAT Kats equivalent to Hawaii. During construction, the ancient “fire demon” Volcanus is accidentally freed from his volcano prison. 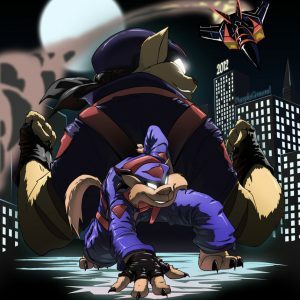 SWAT Kats: The Radical Squadron was created by Christian and Yvon Tremblay for Hanna-Barbera Cartoons Inc. All Rights Reserved. © 1993-1994. 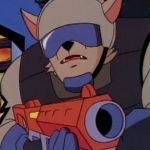 The SWAT Kats Encyclopedia is a fan site.